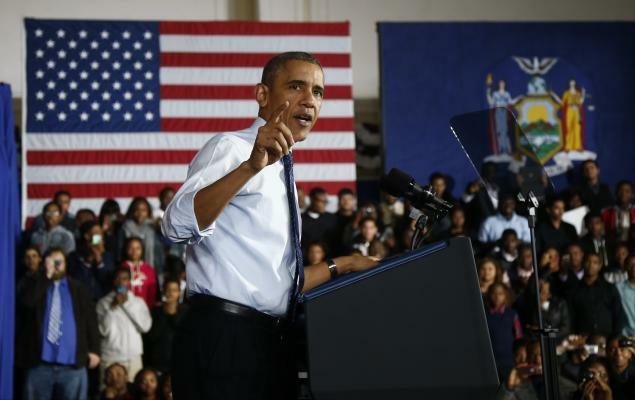 On Friday, October 25, 2013, President Obama made a special visit to New York City’s P-TECH high school in Brooklyn. The first of its kind, P-TECH is a partnership between a New York City high school, CUNY and IBM. In his State of the Union, the President hailed the program as a model for preparing students for college and career. P-TECH is a 9-14 school, providing an opportunity for students to earn a high school diploma, an associate degree, and to participate in industry internships. In order to properly prepare students for the workplace, P-TECH installed 3 VEI programs to enable every 11th grader to get real world experience through the creation and execution of a virtual business. VEI is very proud to be on the ground floor of this innovative model that is now expanding to schools throughout the country. Follow this link to watch President Obama’s speech.